I was SO excited to see these little colorful babies! 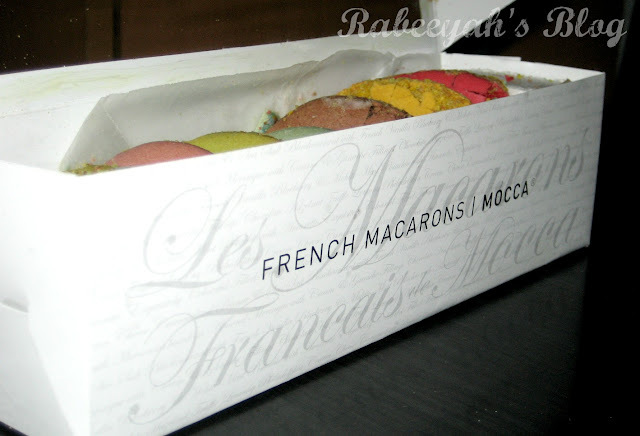 And I had to get them, but... before I could buy them, Mocca Coffee was kind enough to send me a bunch of yummiest Macarons. Yes, they ship country wide. And you get them the next day they are shipped. 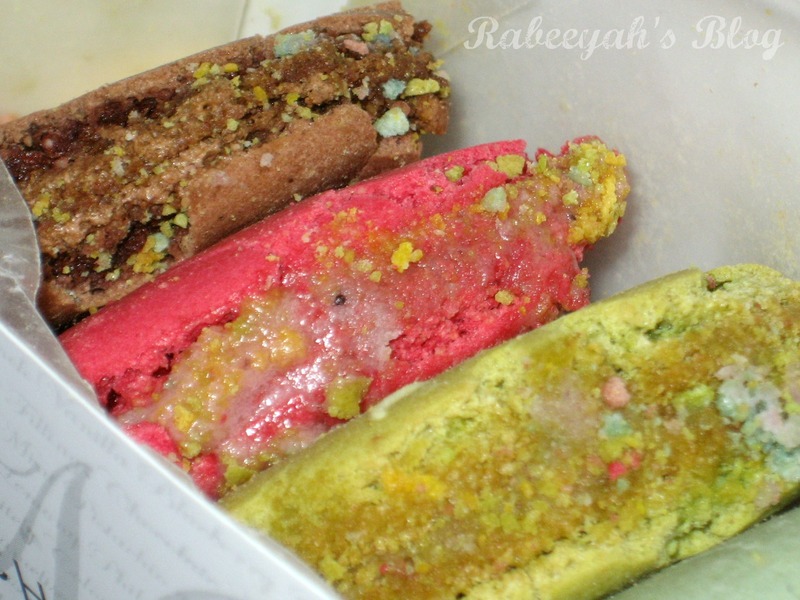 Just look at them, aren't they tempting and mouth-watering? 2. Lemony Philadelphia Cream Cheese. 3. Caramelised Peanut & Sea Salt. 4. Blackcurrant with French Vanilla. 5. Blueberry & Mohito Mint. They came all packed up nicely in a box, which was in another box and wrapped in a cardboard. But some how it was little bit crushed * thanks to courier guys * , but seriously it doesn't matters to me. They all were in full piece, just a little crumbs came out. 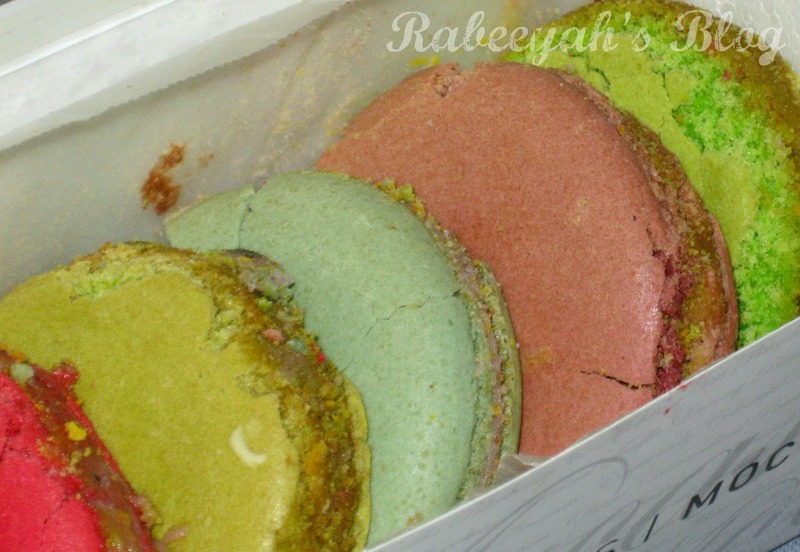 The Macarons have soft creamy filling inside, which tastes YUM! You can taste every little flavor which is in it. 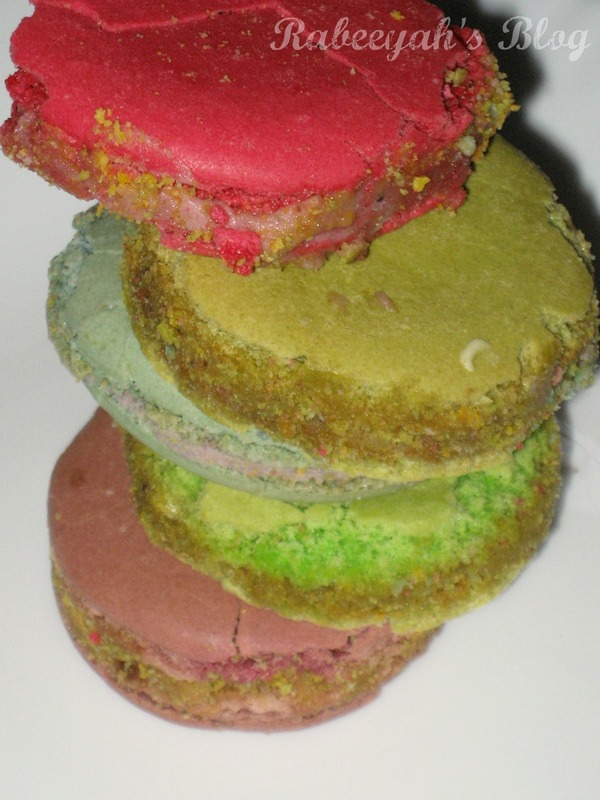 They were as fresh as you will get them at Mocca Coffee. 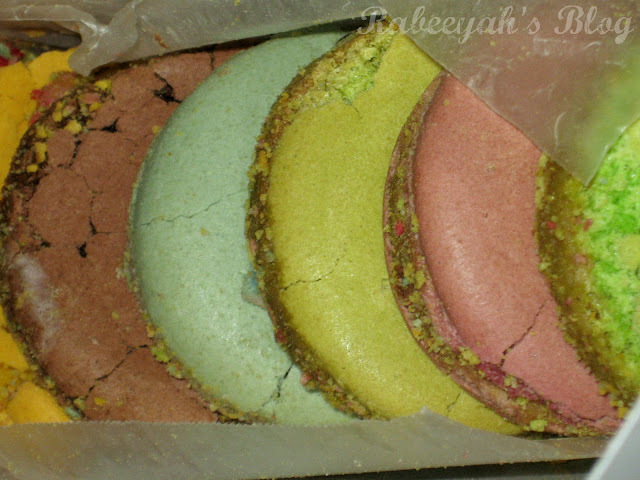 When the courier guy arrived, I could smell the smell of the Macarons outside the package and I couldn't wait to open the box and eat them. 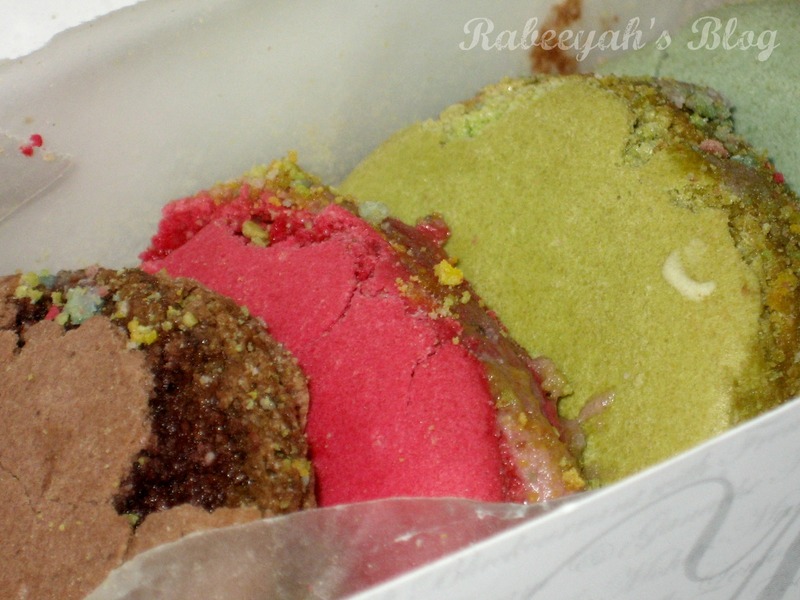 They are quite rich, you can not eat the whole at once. But if you are SWEET lover, you can. 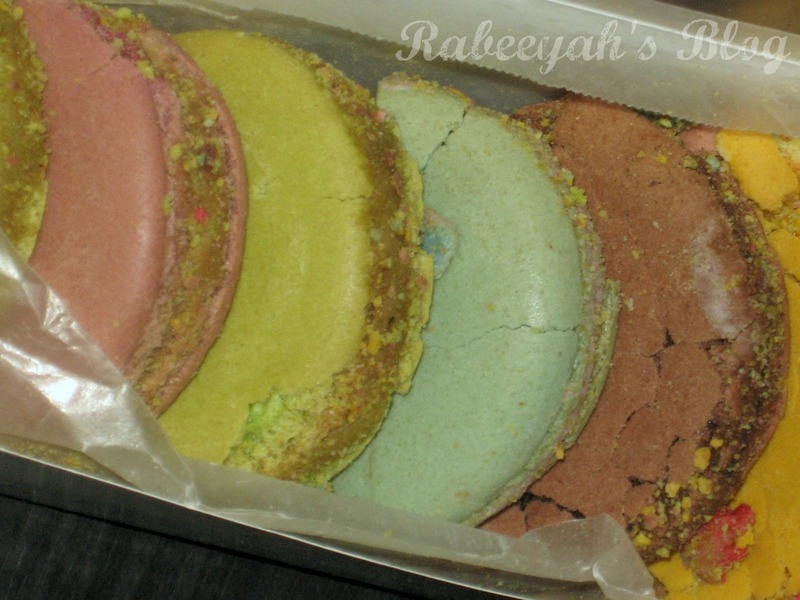 All in all, the wait and wish for Macarons was worth it! I really enjoyed eating them. And I will order some in future too. Highly recommended! Do try them out. 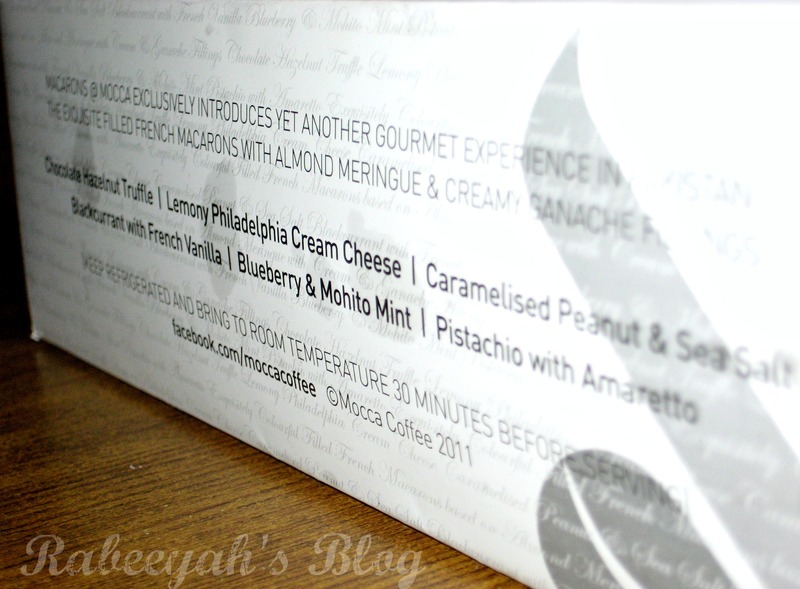 You can find "Mocca Coffee" on Facebook and email them and let them know what flavors you would like to have. I hope you enjoyed reading the post. 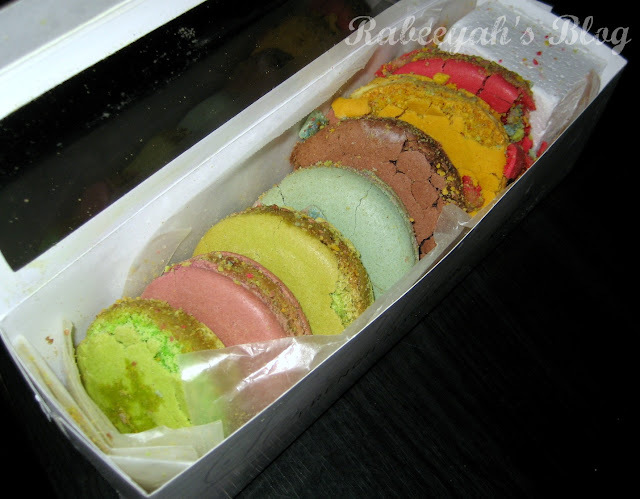 If you have tried Macarons, do share your views. woww yummy so colorful can you please confirm how to order online? interesting! they dont LOOK tempting but with all the flavors u've listed they must taste good! Im a frequent visitor to isb,would defo try it! @Adam, thank you! I know and I can never trust OCS people. They are my biggest enemies :D Thank you anyways for these Macarons. I seriously enjoyed every bit of it. 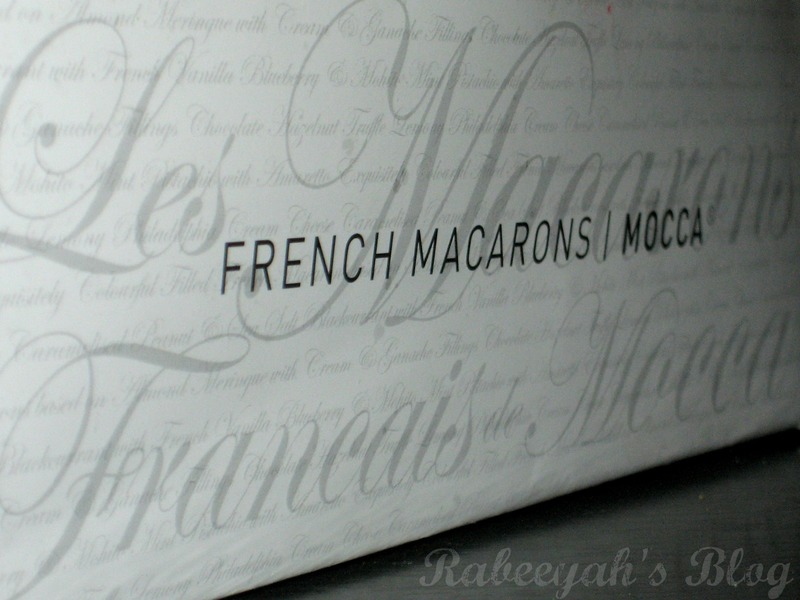 I have never tasted macarons before, they don't seem to be very popular here in Canada. 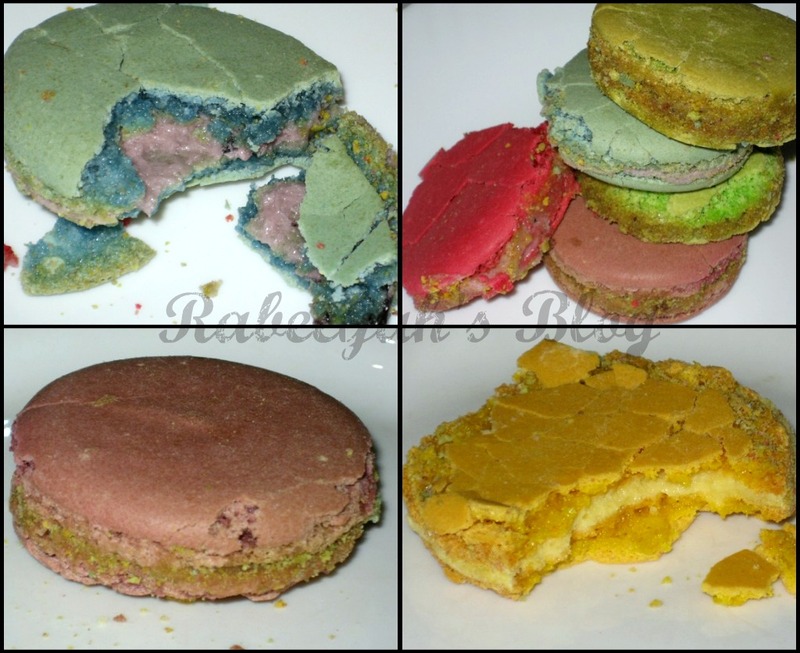 These look yummy though! 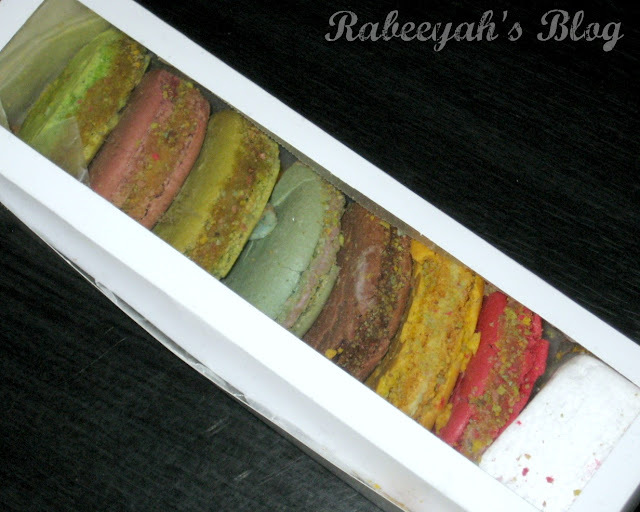 Yayie good to know that you went and liked the Macarons, Ambreen. I know they are small, but that's the actual size of them :) They are quite rich :) I'm glad you liked it.